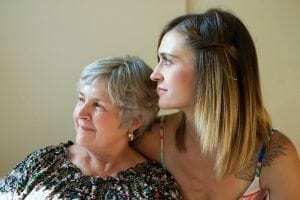 As we get older, many of us are cast in the role of a caretaker to a parent or other aging loved one. Whether they need a little or a lot of help, there may come a time that moving to an Assisted Living community is considered, a concept that has the potential to make everyone uncomfortable. But why is it so difficult to talk about? Acknowledging that a parent needs more help can be very emotional for an adult child. Many see their parents as they always were: the caregiving, nurturing and independent adults they instinctively turned to. This makes the perceived role reversal confusing and difficult to negotiate. But there are ways to ease the conversation so that both you and your parents can come to the right decision together, without your parents feeling as though they are being “put away” in a facility to live out their remaining years and without you feeling like you have let them down. First, we need to address the misconception that Assisted Living is the same as a nursing home. It isn’t. Assisted Living communities offer freedom from daily chores and worries, daily activities, socialization and meals, along with some support if the resident should need it. They include apartment-style living, and, for example, at Gurwin’s Assisted Living community, residents enjoy the privacy and independence that having a full apartment brings, along with the socialization and support that is vital to their physical, emotional and spiritual health. The best course of action, after everyone is informed, is to try to have the conversation before a time of crisis. This will avoid pressure and allow time to adjust to the idea and promote a healthier, more active role for everyone in the process. Include your siblings if you have any – this will help to avoid conflicts while promoting a supportive atmosphere for a difficult decision. When you do talk, speak in private, and listen to your elder. Only by understanding someone’s feelings can we help them to be open to the advantages any change can bring. By allowing them to express their fears and concerns, you can ultimately work through them, largely by dispelling myths and exploring the ways in which many problems are solved (no more cooking, cleaning, yard work, maintenance). Remember to choose your words carefully – and show enthusiasm about helping them move into their new home. By addressing any misconceptions and fears up front, often the parents are not only agreeable to making the move, but also excited about starting a new chapter in their lives. They understand that they are gaining so much, and losing very little. By discussing the options often and early, you can avoid hurt feelings at a time when emotions might be running high.